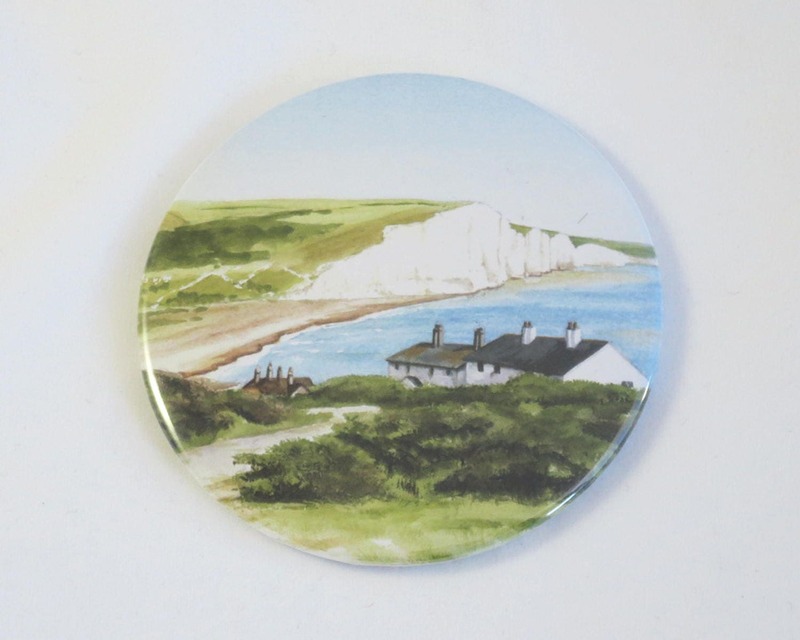 A beautifully illustrated pocket mirror with the famous view of the coastguard cottages and Seven Sisters cliffs on the south coast (Cuckmere Haven). 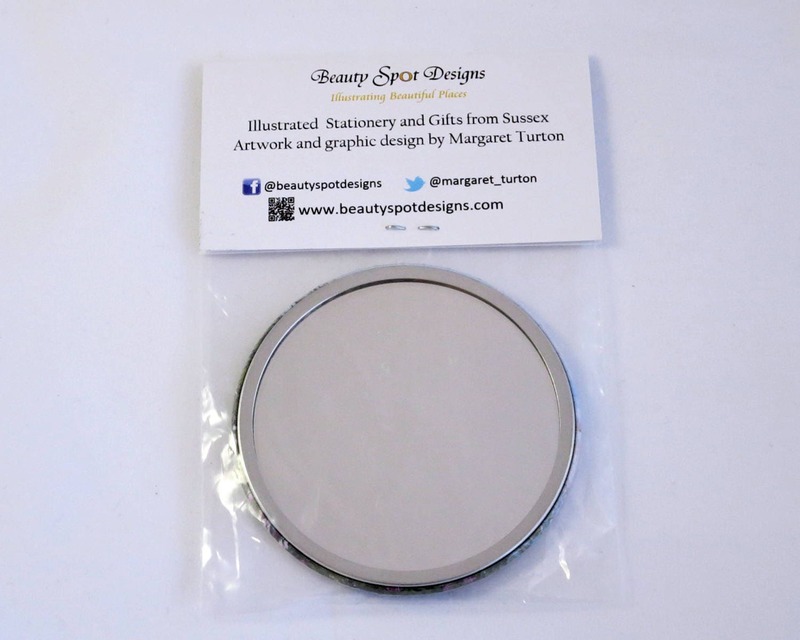 Perfect for slipping into your handbag or pocket ready for those selfie moments or to check your make-up. 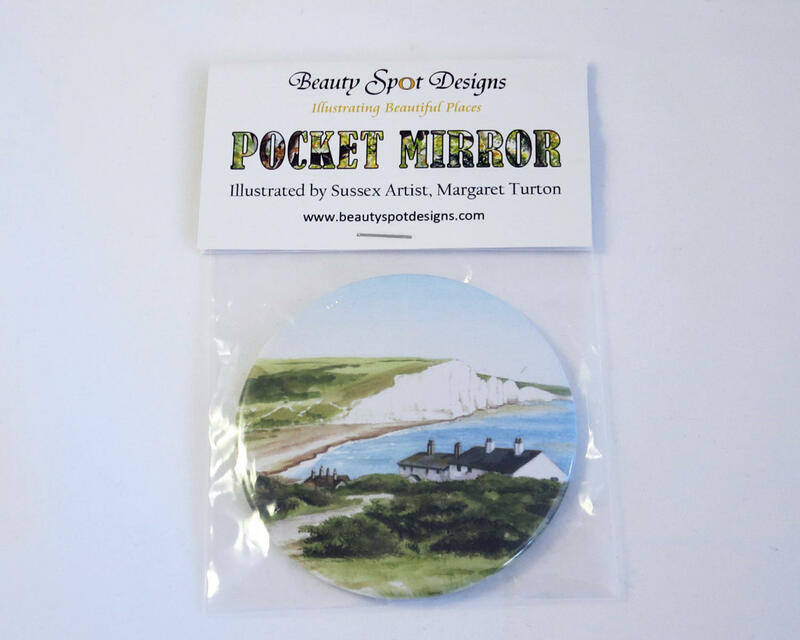 The illustration is from a watercolour by Margaret Turton, Sussex artist. It has been carefully reproduced to match the original colours and the packaging is also designed by the artist. 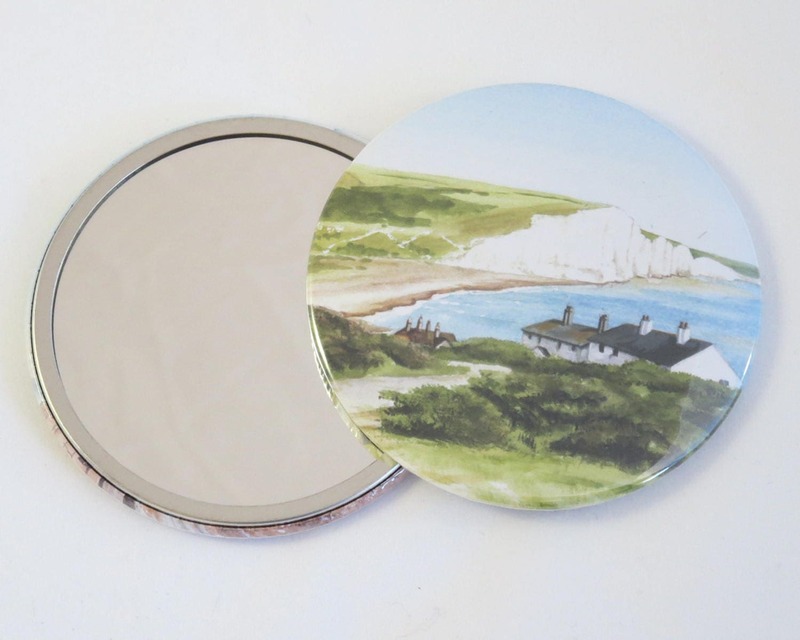 If you see a painting of mine that is not available as a mirror please contact me to request a customised design.